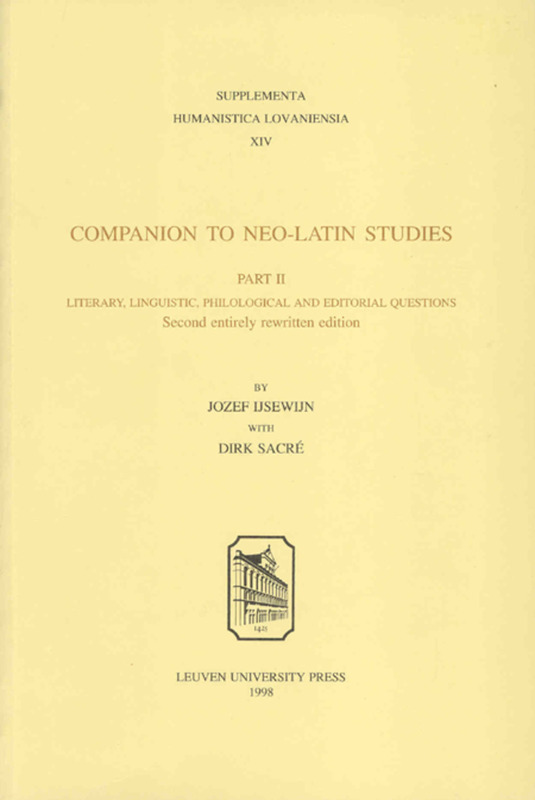 In 1977 the first edition of the Companion to Neo-Latin Studies appeared. It evidently filled a long-felt lacuna, and was soon out of print. 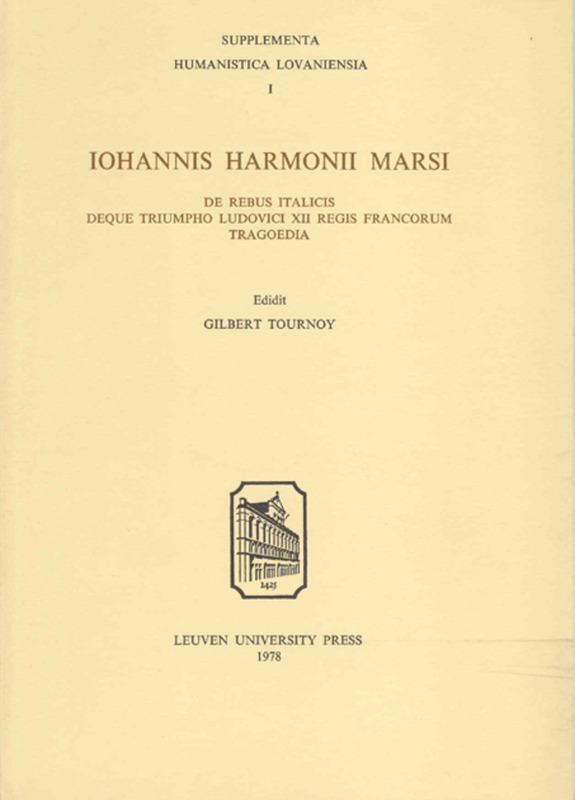 The first part of the second entirely rewritten edition came out in 1990; it consisted in a concise, but comprehensive history of Neo-Latin writings (both literary and scientific) arranged according to geographical and cultural areas (Part I: History and Diffusion of Neo-Latin Literature). Due to the explosive growth of Neo-Latin studies in the last decades, it took a couple of years to rewrite and to expand the second part. In this volume an attempt is made to cover all the relevant literary forms and genres of Neo-Latin literature; their characteristics and evolution are described and bibliographical aids have been added; the method is descriptive rather than theoretical. 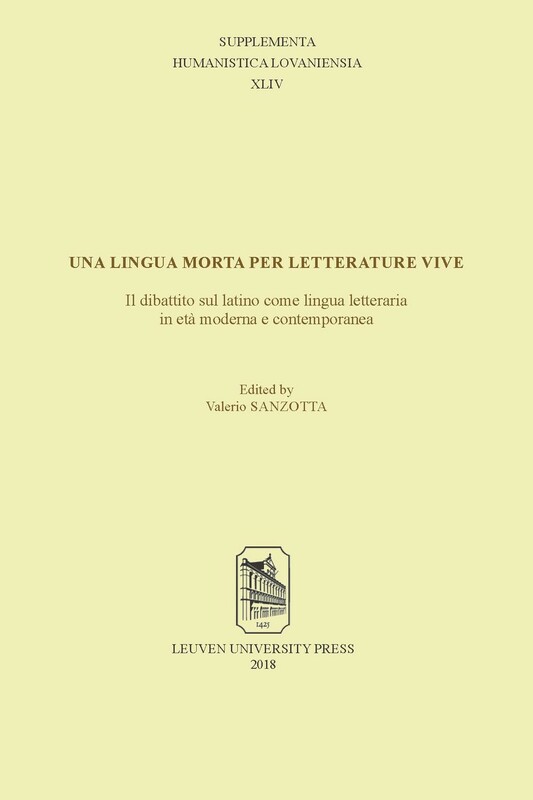 This part is followed by linguistic, philological and editorial questions, discussing the features of Neo-Latin vocabulary, syntax, style, prosody and metre, old and modern editions, etc. 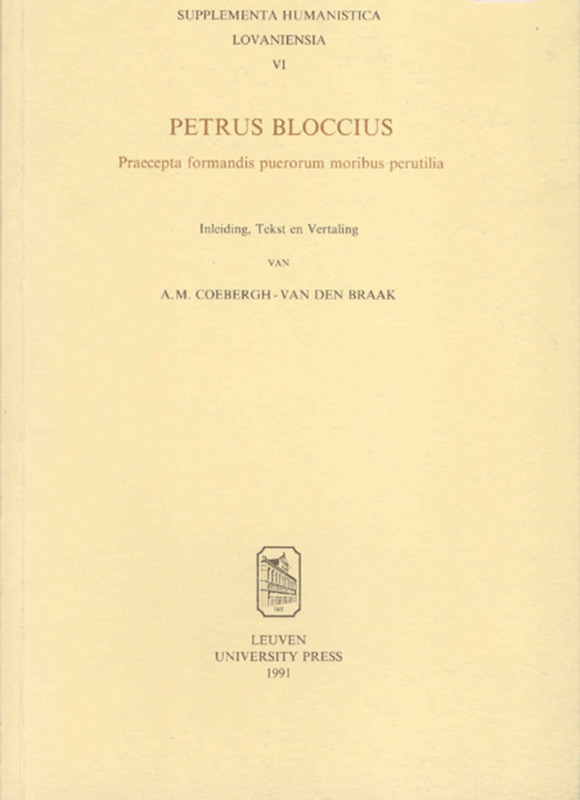 A historical survey of Neo-Latin studies concludes the book. Several indexes facilitate access to the varied contents of the work. 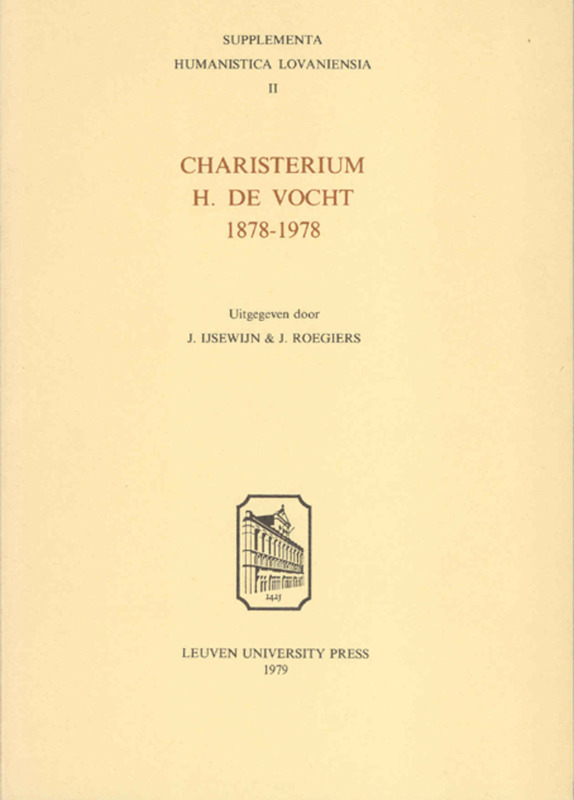 The two volumes of this Companion form an indispensable and up-to-date introduction to the immense and still largely unexplored field of Neo-Latin literature. 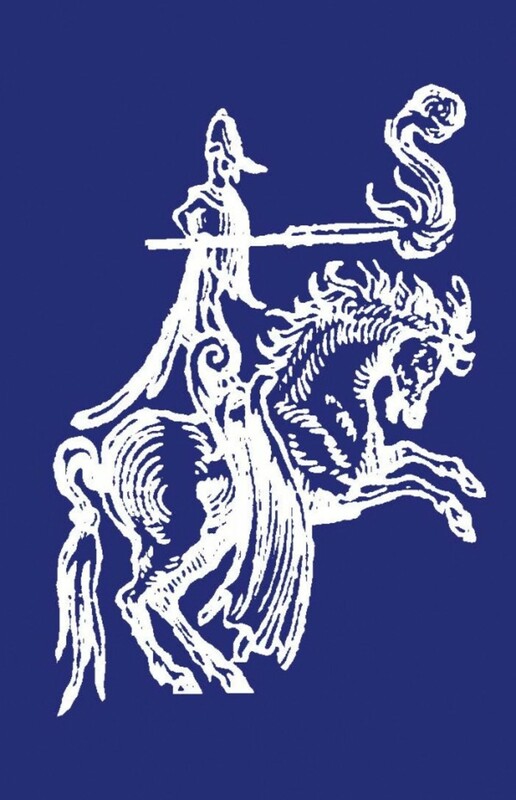 Occasional Poetry: Epithalamia, Epicedia, Gratulationes etc. 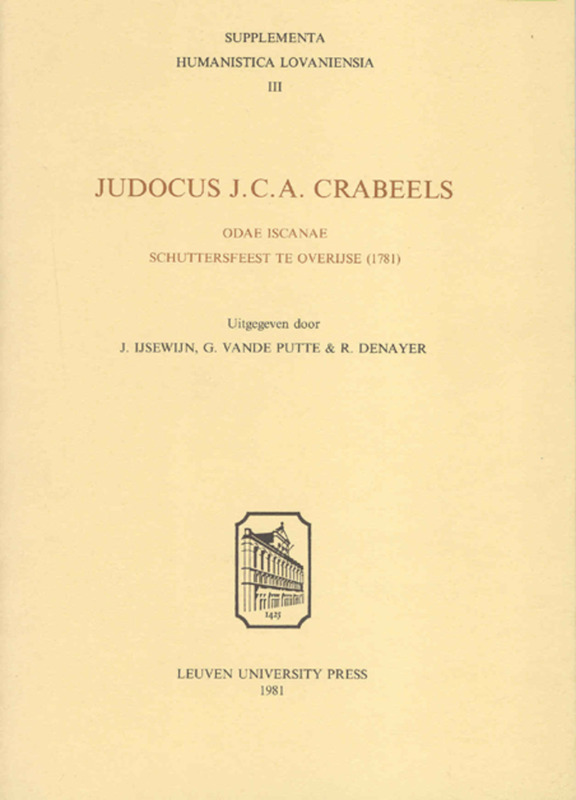 Dirk Sacré is professor of Latin and Neo-Latin at KU Leuven.